If you’re interested in playing the flute, this is your first lesson! In a little over one hour, international concert artist and former NYU Professor Celina Charlier explains you the basics of flute playing. Learn the proper breathing technique, the embouchure, how to assemble the flute, posture and how to get a good sound on the instrument. Celina Charlier is a Brazilian flutist , living in New York for almost 20 years. She holds an international concert career, having performed professionally since 1989, as a chamber musician, orchestra musician and soloist, throughout Brazil, USA, Italy, France, Malta, Switzerland, Mexico, Argentina, Uruguay, Sri Lanka and the United Arabic Emirates. Her repertoire encompasses from Early Music to electronic avant garde, including Brazilian genres. She taught for 16 years at New York University, and put together from scratch the entire music program for NYU Abu Dhabi, the first global university. At NYUAD, she was the Director of Music Performance, until 2015, when she made her way back to the Western world and has focused on performing, teaching, and recording. 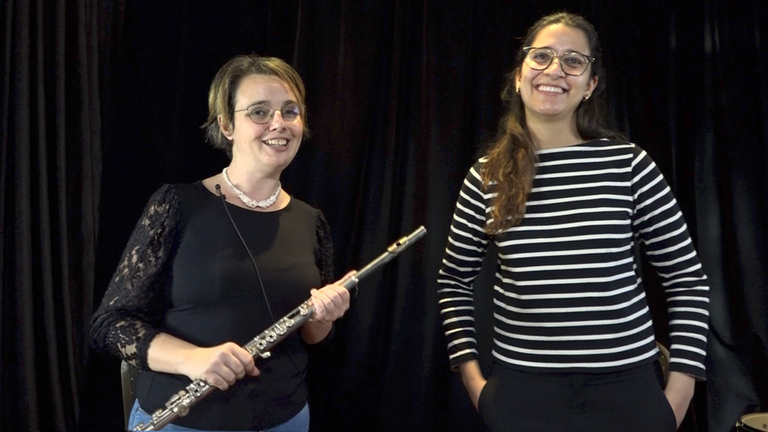 1-teaching flute all levels (beginner to professional), Early music, avant-garde New Music, Brazilian genres. 2- breathing, posture and sound production techniques for wind players and singers (all levels and without interfering with "schools" of interpretation; enhancing technique). 3- teaching/guiding people how to choose a flute: assessing individual needs/goals, and explaining subjective and objetive paramenters. Subjective parameters relate to each individual (shape of face, mouth, type of embouchure; taste for type of sonority; budget). Objective matters relate to the characteristics and possibilities of each flute (materials such as silver, gold or wood, tubing, design, types of headjoint and mouthpiece, mixing and matching body and headjoint; c foot versus b foot; mechanism, soldered or drawn holes, etc). This course was recorded on March 2018 at the Lessonface studio in the West Village, NYC. This was an excellent tutorial. It help me so much. I love the the intertwining of theory, physics, and actual practice. Best on line class I ever had.